It’s time to visit the island once again. 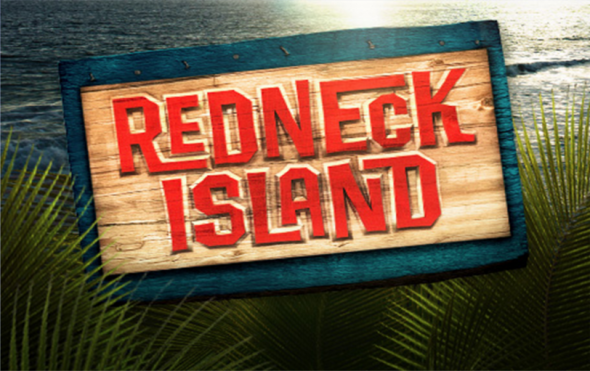 CMT has announced that season five of its reality competition series Redneck Island will begin on January 28th. Hosted by Steve Austin, the reality series follows a group of so-called “rednecks” as they’re left to fend for food and immunity on an island. The 10 episodes of season five will feature 24 contestants that include 12 all-new competitors and 12 fan favorites from the past season. All will be competing for a chance at $100,000. NASHVILLE – December 22, 2015 – CMT‘s long-running competition series “Redneck Island” is set to return for a fifth season with a special “Battle At The Lake” edition, premiering Thursday, January 28 at 10 p.m. ET/PT. TV personality and CMT fan-favorite Melissa Rycroft will join wrestling icon Steve Austin to preside over 10 new episodes of the series, as 24 contestants compete for the $100,000 cash prize. Things heat up quickly on the lake, as 12 new contestants arrive to find they’ll face off against 12 returning fan-favorites from the previous season. Returning for another shot at the money are season three contestants Becky, Bradley, Cody, Heather, Hunter, Jorden, Josh, Lucas, Margaret, Nicole, Riley and Tessa. Alliances form early and relationships will be put to the test as the 12 seasoned veterans must face off against 12 eager new rookies for some of the most epic showdowns yet. Steve ‘Stone Cold’ Austin, six-time World Wrestling Federation Champion and 2009 WWE Hall of Fame inductee has been busy since retiring from the ring in 2003. Steve currently hosts two successful TV shows for CMT, Steve Austin’s Broken Skull Challenge and Redneck Island. In addition, he shakes things up every week with his highly-rated podcast, The Steve Austin Show on www.podcastone.com. He’s the face of the new WWE 2K16 video game, and just introduced his new craft beer, Broken Skull IPA with El Segundo Brewing Company. Austin is also a brand ambassador for Kawasaki Motor Sports. When not hanging out on his 2100+ acre Broken Skull Ranch (www.brokenskullranch.com) in the brush country of South Texas, Austin lives in Marina del Rey, Calif. with his wife, Kristin, and their three Labradors. Join Steve on Facebook, Twitter and Instagram. Melissa Rycroft won the hearts of America in one of the most talked about seasons on ABC’s hit series “The Bachelor.” Just one week later with only days to prepare, she stopped onto the dance floor in heroic fashion on “Dancing with the Stars” for her nationally televised ballroom dancing debut. Paired with professional dancer Ton Dovolani, Rycroft “waltzed” her way to a third-place finish on the hit series, and in fall of 2012 she joined an elite group of celebrities as she was crowned champion of “Dancing with the Stars All Stars.” She subsequently appeared on two seasons of CMT’s “Dallas Cowboys Cheerleaders: Making the Team,” the same organization for which she once performed. Rycroft is an accomplished TV host, author (“My Reality”) and frequent contributor for “Good Morning America” – all while juggling the busy reality of motherhood from her Texas home. She resides in Dallas with husband Tye and their two children. They’re expecting their third child in 2016. Follow Melissa on Facebook, Twitter and Instagram. What do you think? Do you watch Redneck Island? Will you tune in for the new season? More about: CMT TV shows: canceled or renewed?, Redneck Island, Redneck Island: canceled or renewed? Nashville: Cancelled or Renewed for Season Six on CMT?